I’ve always wondered about who makes money on all those hot sauce bottles arrayed in the condiment aisle of the supermarket. I mean really: My local Raley’s carries several dozen, and there are thousands of brands of hot sauce out there, ranging from the venerable Tabasco (the only hot sauce I still buy) to the ridiculous Dave’s Insanity Sauce, which is so hot it really ought to be a controlled substance. It’s simply a case of too much choice, and not enough difference in the sauces to matter. 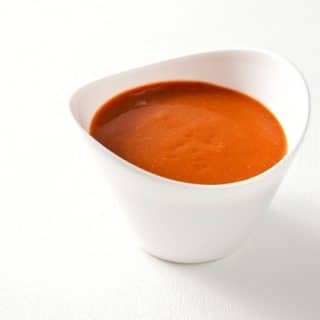 I think one of the reasons there is so much hot sauce on the market is because it is so easy to make. 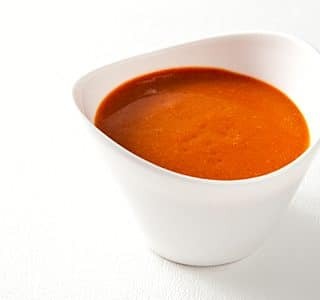 I am imagining all these inspired home cooks in Texas or Florida or New Jersey who were happy making their own sauce, when someone said: “You oughta bottle that!” They do, hemorrhage money, then promptly go out of business a year or so later. Mercifully, I’ve never been tempted to sell my own hot sauce. But if I did, it’d be this one. And since I am about to give you my recipe, I guess I won’t be making my fortune (or bankrupting myself) on “Hank’s Cray-zey Hawt Sauce” anytime soon. What makes this sauce so special is the chile — I use wild chiles for this recipe. Yep. Wild chiles. They exist. 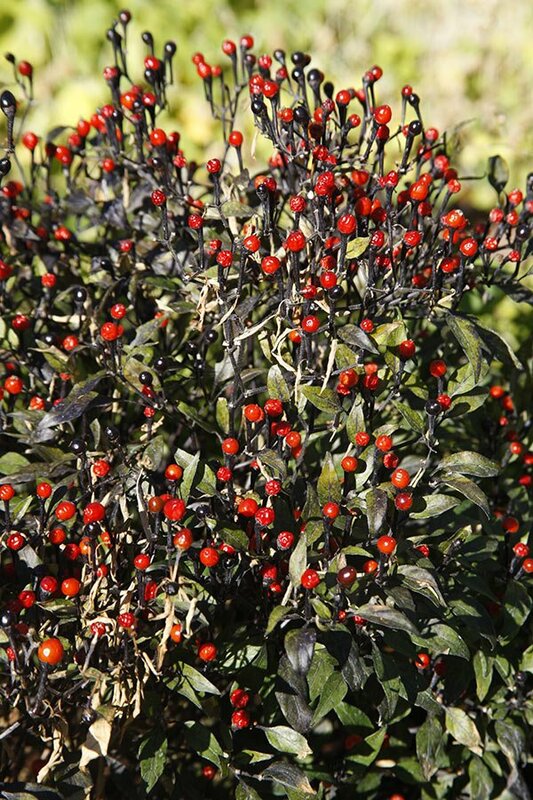 Known mostly as chiltepin, pequin or bird’s eye chiles because, I suppose, they are small and round like a bird’s eye, these grow wild in much of Central America — and have the distinction of being the only chile peppers native to the United States. You can forage for them in southern Arizona, New Mexico and Texas, and they reportedly live in southern Florida as well. 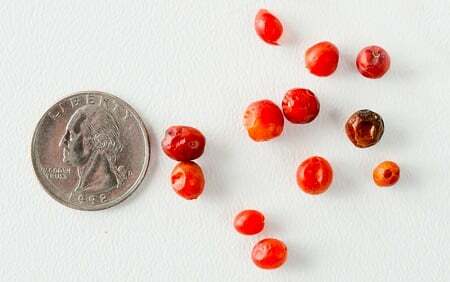 I’ve known about chiltepins for years — I am a serious chile head — and have always wanted to forage for my own. I finally did when I was there in October one year. Little Christmas ornaments on a spindly bushy plant. I have a stash now, and you can buy them in Tucson, or in some Mexican markets near the border. I’ve found chile pequins in Mexican markets in Brownsville, Texas, for example. You can also buy chiltepin chiles through Gourmet Sleuth. Apparently when the harvest is on, locals drop what they’re doing to gather the little chiles because they bring such a high price — up to $30 a pound in some years. You can also buy seeds online and grow your own, although the seeds are really hard to germinate. As for flavor, it’s smoky, hot and rich all at once. The closest store-bought equivalent I can come up with in flavor is Cholula hot sauce, which is another of my favorites. The chiltepin chiles whack you right up front, but then go away — it’s the opposite of a red jalapeno, whose heat can sneak up on you a few minutes later. I use this hot sauce on pretty much everything: Eggs, Mexican food, cold chicken or pheasant, in tomato sauces, on clams… you get the point. use it wherever you would use any normal hot sauce. While I use wild chiltepin chiles in this recipe, you can use any small, red, hot chile. Thai and cayenne are good substitutes. Smoked salt is not strictly needed, but it does add a lot of flavor. Ditto for the xanthan gum in this recipe. Again, not strictly needed, but it really helps the sauce hold together. Xanthan gum is, oddly, becoming very easy to find in places like Whole Foods, because the stuff is used in gluten-free baking. Bob's Red Mill makes it. Put everything except the xanthan gum (if using) into a blender and puree for 1-2 minutes. You really want everything blitzed here, so if your blender heats up too much in 2 minutes, stop, let it cool, and continue. Pour the xanthan gum that's been mixed with the water into the blender, cover and buzz for another 30 seconds. 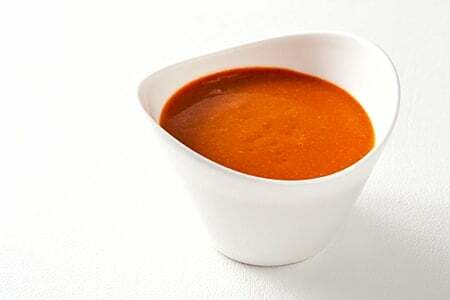 Pour into a bowl or large jar and let this settle for 1 hour to allow all the trapped air you introduced into the sauce while blending to escape. If you skip this step your sauce will not hold together as well. Bottle and store in the fridge for up to 9 months. If you are interested in a full-on, fermented, Tabasco-style hot sauce, here is my recipe for that. You’ll find all sorts of recipes for homemade sauces here on Hunter Angler Gardener Cook. Ricky: Not really, but without it you’ll just need to shake the bottle before using. in the salsa recipe do you use dried red chiles or fresh green ones? Torjie: You can use either. Is there any reason why if I was loosly following this I would not want to simmer the ingrediants for a little bit? Thank you for mentioning the use of xanthan gum, it makes it more professional looking. I use variations of this recipe for Christmas gifts and it has been a big hit every year.